Banana Yoshimoto’s Kitchen was one of the first contemporary Japanese novels I read in both English and Japanese while at school, quickly followed by Goodbye, Tsugumi, probably my favourite. Yoshimoto’s novels tackle contemporary social issues in modern Japan in a way that I had not previously experienced and was startlingly original. 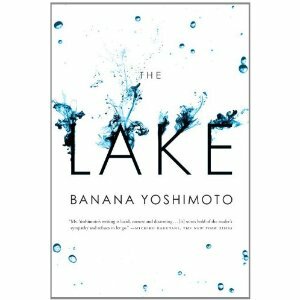 It’s been a while since I’ve read a novel by Yoshimoto, so I’m really excited about her forthcoming new novel, The Lake, a ‘delicate, and suspenseful tale about a young painter named Chihiro and her relationship with a brilliant but troubled young man named Nakajima who has a mysterious trauma in his past’, and is out in a couple of months. Just in time for Dolce Bellezza‘s Japanese Literature Challenge 5. Cannot wait! On top of that, Melville House who is publishing The Lake has pledged a portion of their sales to the Japan Disaster Relief. So check out Banana for Japan. thanks for this post… I didn’t know JLC 5 is up. I joined in the past. And this book The Lake looks so enticing, like the cover. Look forward to your review. Mystica: Oh I’m sure the library in Melbourne would have copies of Yoshimoto’s books. Enjoy! Violet: I always have problems with Americanised translations of Japanese books as it’s always different from when I translate things from the Japanese. I suppose it’s what you are used to hearing. But I guess it’s always difficult to translate slang/vernacular. It is absolutely wonderful seeing this book posted all over the blog-o-sphere, and I do appreciate you mentioning the JLC5. I can’t wait for that to start, nor to read this book among many others!